Another unidentified bug was found on a piece of broccoli in the Atherton dining hall on Aug. 30, the second occurrence in just under five months. 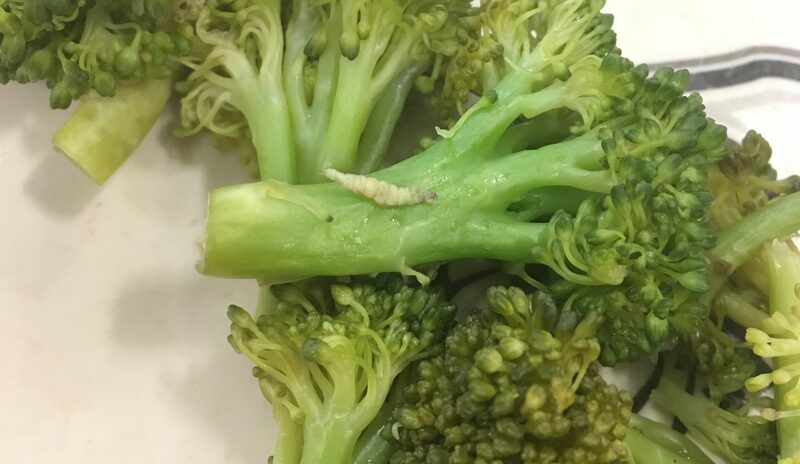 In a previous incident last April, a first-year student tweeted a picture of her broccoli from Atherton’s gluten-free station after finding a bug nestled in her food. Afterwards, food service provider Aramark agreed to rewash all pre-washed produce sent to the university. Vice president of student affairs Frank Ross also contacted Taylor afterwards. Ross also made phone calls to local and corporate Aramark managers, who are launching an investigation from their end into the incident. The discovery comes a week after Ross announced a series of short and long-term changes to Butler’s dining program based on student surveys. This October, the school is partnering with a national campus foodservice consulting group to launch a search for a new dining service provider. Ross indicated the school will continue to move forward with plans to launch a request for proposal, but said the multi-step process makes it hard to accelerate the timeline. Aramark, which has been in contract with Butler for the past 20 years, had previously indicated their intention to submit a proposal. Students with questions about dining can reach out to Christy White, general manager of Butler Dining, at cmwhite2@butler.edu. Zach Horrall and Meghan Stratton contributed to this report. Same as last year! Shame on Butler University! They charge high prices for meal plans, force students living in school housing to purchase these meal plans, and fail to provide their students with meals they can enjoy without the mear of eating insects.